[Mobile, Alabama] Hackbarth Delivery Service celebrated their fortieth anniversary this year with a gala event, Cheers to 40 Years, held at the Mobile Alabama Cruise Terminal. 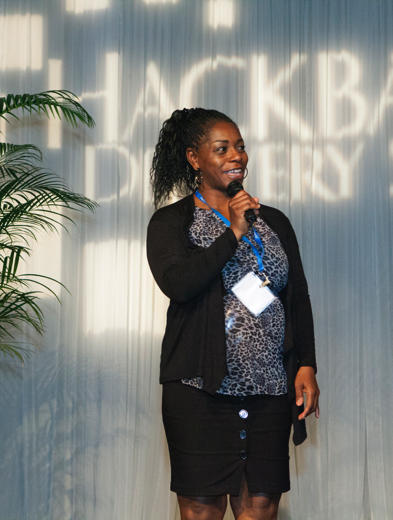 Veltena Jordan, Atlanta local and an independent contractor with Hackbarth’s Atlanta-metro terminal in Tucker, created a stunning song to tribute their forty years in business. 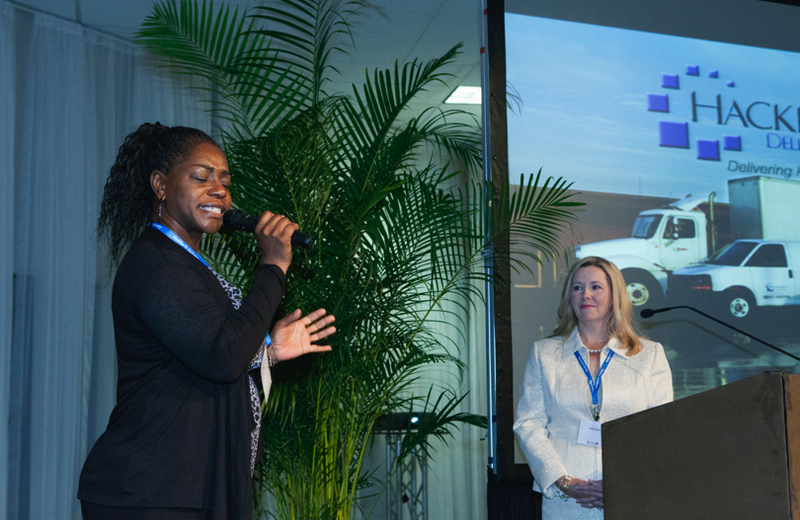 She amazed over 300 people with her beautiful voice and creative style that highlighted four decades of service as well as honoring the drivers and their pledge to provide Knock Your Socks Off- KYSO® customer service. Veltena shares her story about how she sings and creates music as well as drives her own business. Pictured with CEO, Kelly Picard on right, Veltena Jordan singing her original song celebrating Hackbarth’s 40th Anniversary.